They provide antioxidants. Ensuring a good amount of antioxidants in your diet can reduce the chances of cancer, lower high blood pressure, improve wrinkles and help your heart stay healthy amongst many other benefits. Anthocyanins, the pigments that make blueberries blue, are potent antioxidants. A half-cup of blueberries provides the antioxidant power of five servings of peas, carrots, apples, squash or broccoli. They are a healthy, low-glycemic-index carbohydrate, an especially good choice for those in need of better blood sugar control. Blueberries are a great source of vitamin C, important for supporting your immune system. They help meet your daily fiber needs with two grams per half-cup serving. Blueberries have shown promise in addressing the untoward effects of aging. Studies associated with consuming blueberries have demonstrated improved motor skills and a reversal of age-related short-term memory loss. Also, they may offer various other health benefits ranging from reducing cancer risk and defending against urinary tract infections, to protecting the brain from stroke damage and reducing heart disease risks. Look for organic blueberries, and toss some in a salad, eat as a snack or throw in a parfait with plain yogurt and walnuts. 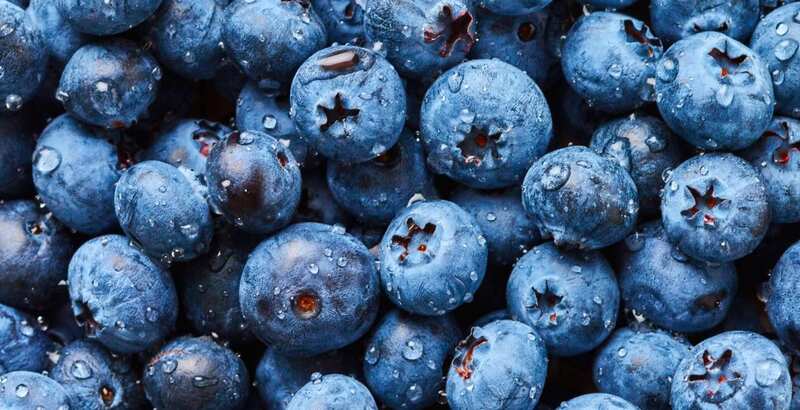 If fresh, organic blueberries are cost prohibitive, substitute with organic frozen or dried products – all three forms provide health-protective benefits. However, keep in mind that dried blueberries are a concentrated source of sugar and often have added sweeteners, so read labels and enjoy them in moderation. Frozen organic blueberries are a great replacement for ice in making a frosty breakfast smoothie with unsweetened nut milk and a handful of raw almonds. We recommend that you start using more of these fresh, God-given powerhouses!